Plus a mud mask is great for the shell-plection! Zula, my leopard tortoise, sporting a beautiful food beard. Zula is always prepared for Food-beard Friday! The Norfolk Tortoise Club is organising the tortoise check-up and information afternoon at Uplands Way Vet Practice, in Diss, on Saturday, August 11. The special event, between midday and 4pm, is being held to help give tips and advice on how to help tortoises live a long, healthy and happy life. It also offers an opportunity to get a tortoise wormed for £5 and microchipping will also be available at £10 to £15 per tortoise. The day is an opportunity to meet expert tortoise vets at Uplands Way and meet club members, ask questions, view displays, view and buy basic care products and edible plants. This didn’t queue properly so its a bit late, but good to know things like this happen. 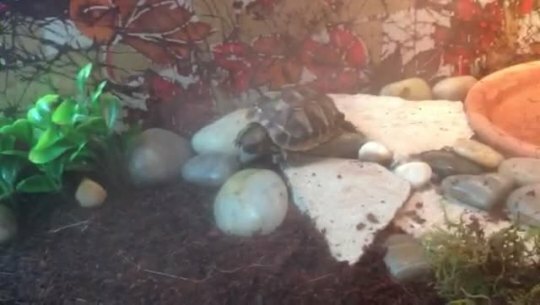 Attention Miami Residents with tortoises/ turtle and other exotic pets! Miami Zoo is doing a great thing. I’d like to comment on the irony of this happening in Miami and its relation to immigration policy but.. I won’t. Too many exotic pets are abandoned these days and too many rescues are overrun and unable to deal with them. Even more so, people don’t realize that there are places that they can take their animals if they can no longer care for them. Don’t just abandon your pet! Give your pet a chance and find a rescue/clinic/ or other location accepting the animals and finding them good homes. Miami Zoo holds Amnesty Day! People who have exotic pets they can no longer handle will have a chance to do what is best for the animals during Nonnative Pet Amnesty Day which is an an effort to keep unwanted exotic pets out of Florida’s native ecosystems.